The text includes coverage of regression including computer applications, offers exercises and graphs, covers stem and leaf diagrams, the exponential distribution, testing for normality, and partial correlation. 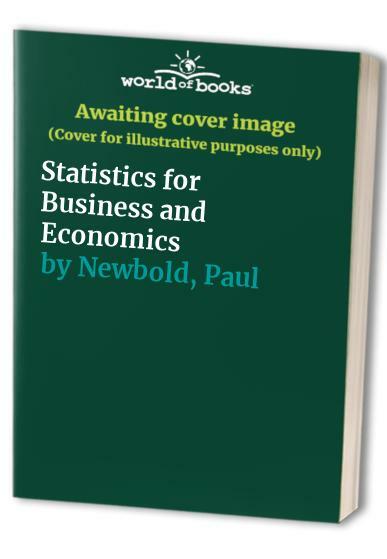 This book provides an introduction to statistical methods, complete with realistic examples. It aims to demonstrate that the methods are useful, and helps readers understand where, why and how they are used. The text includes coverage of regression including computer applications, offers exercises and graphs, covers stem and leaf diagrams, the exponential distribution, testing for normality, and partial correlation. It introduces a new chapter on the topic of statistical quality control, with examples and illustrations after the introductory statistical concepts. This edition includes changes suggested by users of the previous editions.